We all know that life has it’s ways of sneaking up on you with some less than welcome news when you least expect it and this has never been more true than where your car is concerned. Having a working, healthy vehicle is a necessity these days,whether for your daily commute, your actual job or for the school run. The last thing any of us need is an unexpected breakdown or costly repairs. As the saying goes, ‘prevention is the best cure’ and so, with this in mind, we’ve put together a list of possible warning signs to help you avoid a surprise break down and costly repairs! Catching problems early on can really make the difference in a quick fix and being without a car for a length of time and will also make sure you’ll pass your MOT. So, here you go. Here are some of the top things to look out for. These are the most obvious and straightforward signs that your car needs due care and attention! They are the first and most obvious reason to have your engine checked sooner rather than later. They are configured to illuminate when the area they are monitoring is not functioning properly and as cars develop into these ‘futuristic’ machines the underlying problems that are not visible to the eye become more and more. There are many indicator lights that can come on, they are all just there to tell you that attention may be needed even if you haven't noticed any change in the performance. Generally they are an indication of a niggle or weakness in the system and to make you aware that something isn’t quite right, generally needing attention in due course BUT, if the Engine symbol is flashing, this means you require immediate attention! Your car's manual will have a section that tells you what each of your dash symbols means, it’s worth checking what area of the engine this is referring to. So, trust the dashboard technology! In this ever evolving automotive world it is becoming harder to detect faults yourself, especially where these new systems are concerned! The braking technology in cars has evolved quickly over the past few years and is continuing to get more and more advanced. With a fully comprehensive array of systems that work hand in hand with the action of us making contact with the brake pedal to keep us safe and give us the most responsive reaction it can be easy to forget to pay attention to their performance. Are just some of the technologies employed to ensure we have a safe and intuitive driving experience. Where the performance of your car is concerned it is also really important to trust your instinct and experience and this is no exception where braking is concerned. You should feel a quick and crisp response that is clean, smooth and easy when applying your brakes. 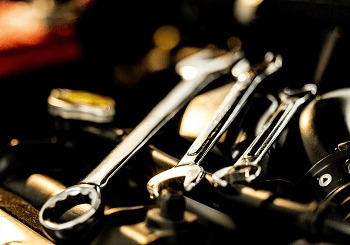 If you find yourself experiencing any resistance or unusual sensitivity, any unusual noises or anything not normally occuring when you brake, then it could be time for a service. Brakes are an element of the car that will be affected and take strain from everyday driving. The brake pads, fluids and disks all naturally wear on a day-to-day basis so change in performance is to be expected, just make sure you are aware of any changes as getting them checked early on is important to the overall health of your car and, more importantly, your safety. Keep an eye and ear out for vibrations and shudders that are not down to the surface of the road. These could be down to something as simple as a loose piece of plastic but it could also be down to some more serious failings like worn tyres that are perhaps in need of balancing out or even a weakening in a joint or loosening of a bearing. This is something that is best not left to diagnosing yourself unless you can definitely see and identify the culprit with no question. In most cases it is always advisable to get this checked by a professional, even in the instance of discovering a less threatening reason for the vibration, it is important to have it fixed correctly to avoid any knock on effects. There are many noises that can occur from all areas of your car should there be a problem. Should you hear a noise that seems unusual and abnormal then it is important to get it checked as it is a solid indicator that there may be an issue. Some noises indicate certain problems such as; a high pitched squeal when turning the ignition on could indicate that the belt is worn or loose, squealing noises when on the move could indicate that your power steering fluid could need replacing or you could possibly require your tyres being rebalanced. Squealing when the brakes are applied is a clear indication that they need to be checked, it could be something as simple as a rock or a bit of grit that has worked it’s way into your braking system but it could also mean that you need new brake pads, either way noise when braking is worth taking your car in for a quick once over. It is really important to get factors like this checked should there be any indication of them as your warranty may not cover these issues should they develop further. This seems like a no brainer but you’ll be surprised how many people persist with their every day commute even when facing this issue! Sudden stalling and cutting out of the engine is a very blatant sign that you need to make a trip to the garage. Do you often find yourself stalling at junctions even when you are positive you have got yourself in the right gear? This could be down to failures in your engine not your driving (see, you’re not that bad!) so, make sure you get this checked. This kind of problem is often down to faulty spark plugs and clogged fuel filters, either way sudden and unexpected stalling is a sure fire sign that you should be making your way to a garage asap! What you would expect from a healthy and fully operating vehicle is a nice clean start as you turn your key in the ignition. As car technology becomes more and more advanced the actual experience of you drive from start to finish has become smoother and easier and the smooth and quiet ignition is one of the key factors that has emerged in this advancement. That is why any issue with your ignition should be addressed! Any splutters, coughs, stutters or whirring as you turn the key are a sign of a less than happy ignition. Turning the key numerous times in an attempt to get the engine going is also a reason to get you car checked! The range of potential causes is wide and varied and can be down to all manner of things from a dying battering to a faulty starter motor, either way this is something that requires professional attention. In the colder months or on colder mornings, let's admit it doesn't have to be winter for it to be cold in the UK, it is usual to see slightly more white smoke on first starting up your engine due to water vapour coming from the exhaust system and this should subside as the temperature increases. If you notice any excessive clouds of smoke or you are frequently leaving black clouds in your rearview mirror, it could be a sign oil leak, blockages and buildup. Check your rear bumper and if you come across a black residue you need to see a mechanic asap. Whether it’s clouds of smoke or a leak, any breach in the system more often than not means bad news. Clouds of black smoke can indicate a buildup of carbon in the system and whilst this may not be an immediate issue it can and will lead to knock on effects and problems. Smoke from under the bonnet could indicate an issue with the radiator, and emissions from the exhaust could be down to an oil leak but this is definitely not something that should be left to self diagnosis. Any leakage or engine issue could be critical so it is crucial that you get issues like this checked. The gearbox, as with the braking system, is an area of the car that undergoes everyday wear and tear and will inevitably require attention. Parts will require replacement, fluids will require replenishment and general care and maintenance will have to be carried out. The fortunate thing about the gearbox, as with the brakes, is this is quite an obvious problem that does not hide away till the last minute and in doing so cause excessive damage. This is an extremely vocal issue, and is most often a problem that is really quite blatant. Ways in which gearbox issues may make themselves known are things like a grinding noise when shifting gears or even leaking transmission fluid. These issues are not too costly to fix as long as you catch them early! So, if shifting gears does not feel right or you see or hear something that's not normal it’s definitely worth getting it checked. A reduction in power can indicate a number of things so it is important to pay attention to how your car runs in normal conditions. If you start to notice difficulty in getting up to speed, unexpected surges in power or even a decrease in the distance a full tank can get you it is a good idea to get your vehicle checked. Though a reduction in power can be down to a natural degeneration as the car ages, this should be a minimal decrease over the lifespan of an average car, so many of these issues are indicative of something like a stuck brake pad or incorrect tyre pressures. Either way it’s always best to get a decrease in power and mileage checked out by a professional. The vehicle owner's manual is an instructional booklet that allows for the owner of said vehicle to have a proactive approach towards the maintenance and upkeep of the vehicle. It allows for a steady care plan to be put into place so as to avoid any larger and more serious issues developing. It is in this manual that you will find an indication as to what symbol mean what, as well as things like tyre pressure (also often found on the inner sill of the drivers door) and what oil to use (yes there are different oils). It allows you to pre-empt maintenance and recommends when a service should be booked in depending on mileage and age of the vehicle. So, what is the best way to avoid problems? Don’t wait for something to go wrong! Keep your car healthy. At Howards we offer great service plans specifically tailored for the leading car brands and have a dedicated team of specialists at hand to help you in any way we can, whether you’re looking for an affordable service plan or just booking in for a service our dedicated team is at hand to help.